Our NDX Consultants can help guide you through the Digital evolution with dental programs, data plans and equipment for your practice. 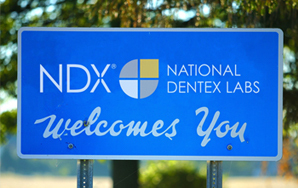 National Dentex Laboratories not only processes digital data from all major scanning systems, making the transition to digital dentistry easy for your practice, but also provides consulting services to help you choose the scanning system and programs that works best for your practice. Digital impressions provide increased accuracy and the ability to identify issues ahead of time which reduces potential fit and margin discrepancies. Digital dentistry delivers your case to the lab faster than traditional methods which reduces the turnaround time necessary for each case. Save money on materials typically used during the traditional impression taking process. Most model-less cases allow for reduced lab fees. Patients are more comfortable taking digital impressions because the process is much quicker than the traditional impression taking process and there is no need for excess impression material that may cause discomfort. Enjoy working with our local NDX labs. The network of labs are on the leading edge of technology with the ability to handle your toughest cases and provide support for all your dental needs. 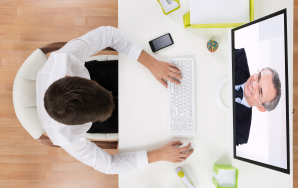 Choose the digital impression system that works best for your office. National Dentex Laboratories accept scans from all major brands including 3M True Definition, Cerec, iTero, 3Shape TRIOS, PlanMeca/E4D Technologies and Carestream CS3500. Check out our full spectrum of restorative products!